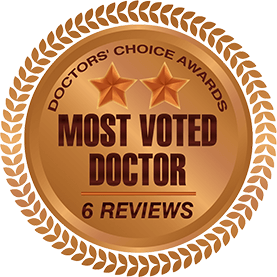 Dr. Priluck and Dr. Nordone share a practice philosophy of genuine compassion and concern for their patients’ well being, and a professional commitment to clinical excellence. Discover why our patients have chosen Dentistry with a Difference to provide the personalized, quality dental care they provide. 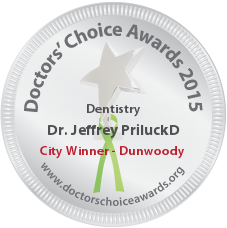 Dr Jeff Priluck and Dr Al Nordone bring all the best dentistry has to offer to the citizens of Dunwoody and Atlanta. You just can’t go wrong having them as your dentist. They are the smile experts. Dr. Al Nordone is a gentle compassionate practitioner, who is highly skilled in cosmetics. The Dunwoody area is fortunate to have him. If I lived in Dunwoody, I would see Dr. Al. Thoughtful and attentive are word which come to mind to describe Dr. Jeff Priluck. He does a great job and I know he will take good care of you. 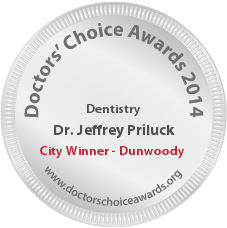 If I lived in the Dunwoody area I would refer my friends and relatives to Dr. Jeff. Drs Jeff Priluck and Al Nordone and I met at a leadership course in Dallas. After some discussion by the groups in attendance it was clear that Drs. Jeff and Al had a unique dental practice with quality and customer service being top priorities. The people of Dunwoody, GA are fortunate to have such a fine group of dentists at their disposal. If my family or friends lived in that area, this would be their dental office. Looking for a new dentist in Atlanta or Dunwoody area? Look no further because Drs. 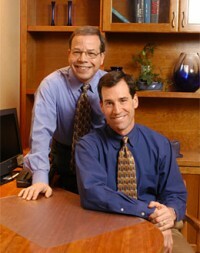 Jeff Priluck and Albert Nordone provide their patients with the highest level of dentistry. Their cutting edge facilities, caring, and gentle touch enables them to rank among the best dental practices in Atlanta. They are always looking forward to helping you attain the smile and dental health you have always dreamed of! I would like to recommend Dr. Jeff Priluck and Dr. Albert Nordone to people in the Dunwoody area who are looking for a new dentist. They utilize state-of-the-art technology teamed with advanced training to give their patients the highest quality dental care possible. I am positive that your expectations will be met with complete satisfaction. Beautiful smiles and expert dentistry are what Dr. Jeff Priluck and Dr. Albert Nordone do best. They have been providing the Dunwoody, Georgia area with gentle quality care for years. It has been a pleasure to know them. I have recently had the opportunity to spend a good deal of time with, and learning from Drs. Jeff Priluck and Albert Nordone. We are members of the same national Dental Study Club, and I count myself fortunate to have met these men. It is clear to all of us in the group that not only are these men excellent in their approach to clinical dentistry, but that they all bring a warm caring attitude to their practice and to the care of their patients. I would be proud to have any of them as my dentist, and I would surely recommend their practice to anyone in the Dunwoody, Ga. Area.